Located in the magnificent Parley's Canyon, Louland Falls is a premier outdoor wedding venue that boasts breathtaking landscape vistas of the Wasatch Mountain range and the surrounding red rocks of southern Utah. Open seasonally from mid-April through mid-October, Louland Falls can best be described as rugged and natural with red rock cathedrals soaring above cascading waterfalls that fill their air with their music. The spectacular venue offers a spacious air-conditioned or heated pavilion with expansive windows that embrace the surrounding natural beauty and seamlessly connect the indoors with the outdoors. A large tent can be hired to be strung up over the pavilion in the event of inclement weather if required. The spectacular venue offers a spacious 40-foot by 40-foot, air-conditioned or heated pavilion with expansive windows that embrace the surrounding natural beauty and seamlessly connect the indoors with the outdoors. A large tent can be hired to be strung up over the pavilion in the event of inclement weather if required. A 50-foot human-made natural waterfall that runs all year is the perfect backdrop for romantic ceremonies or small receptions, with the sounds of falling water as a beautiful and unique backdrop. Amenities and services offered with the rental of the venue include white folding chairs, Chiavari chairs, tables and table linens, a state-of-the-art PA and sound system, a big screen television with a Blu-ray player in the pavilion for slideshows or presentations, the use of bridal and groom’s rooms for each party to get ready, complete with massage chairs, big screen televisions and an X-Box 360 game system, and an on-site venue coordinator to take care of all the little details such as setting up favor tables, décor suggestions, and assistance with vendor recommendations. A golf cart is available to shuttle guests to and from the parking lot and around the property at a small additional cost. 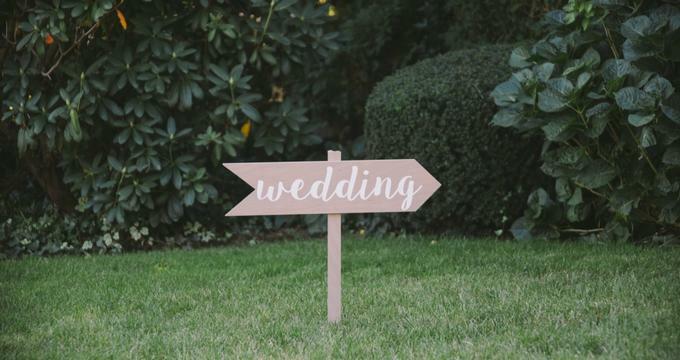 The venue offers preferred lists of renowned vendors for services such as floral arrangements, DJ services, music and entertainment, photography and videography services, wedding cakes, officiants, and limousine, shuttle and valet services. Louland Falls uses Cosmopolitan Catering for exclusive catering services for events. The award-winning catering company offers customized and tailor-made menus for all budgets, with a variety of choices such as butler-passed hors-d'oeuvres, buffet station-style dinners, plated dinners, and cocktail plates, and dessert stations. Full-service bar services are also available, with options ranging from open and honesty bars to butler-serviced stations. Louland Falls is located off the I-80 in Salt Lake City, is wheelchair accessible and offers parking for up to 55 vehicles on the site, with additional parking along the driveway.